Fantastic site, thanks for all your tips. Both my 10yr old boy and 5yr old girl practice fly using your stages technique. I have a question. My 10yr old boy wants to enter a 400IM at his County Championships in March 2014. He can swim a 200IM in 3:25 and 100IM in 1:28. What is the best way to move up to 400IM distance and what time should he be aiming for? The first step for your son to swim a 400m IM is to race the 100m events in each of the four strokes. 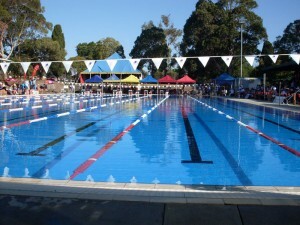 Step 2 is to race a 200m backstroke, breaststroke and freestyle. He may have raced these events already. In his 100m butterfly race he needs to practice being able to make the distance without being totally exhausted at the end. Swimming a couple of 400m freestyle races will also prepare him for a 400m IM. In general, to race a 400m IM he will need to be training at least 6 hours a week (eg 4 x 1 ½ hrs) so that he has the aerobic capacity to get through the race. Most coaches will teach young swimmers to swim solid on the first 50m of each stroke and then build (swim faster) the second 50m. This is especially the case in the backstroke, breaststroke and freestyle legs. The time that I have usually set a swimmer aged around 10 years who is swimming their first 400m IM is to double their 200m IM time and add one minute. So for your son, the time to beat would be 7:50 (2 x 3:25 plus one minute). Over time if a swimmer can double their 200m IM time and add 25 to 30 seconds they are doing well. Good luck and please let me know how he goes. Hey, thanks a lot for the question and the tips!! I’ll pass them to my 11 year old girl. She will swim the 400 IM for the first time this year. She is used to swim the 100 in all strokes,she is very good in both the 100 IM (1.16), the 200 IM (2.45) and in the 200 freestyle (2.26). She swum recently for the first time the 200 breast. She is tho a bit scaried about the 400 IM. Do you have any good psychological tips for that? She swims the 400 freestyle and the 800 too … true: she doesn’t especially like those … but her coaches thinks the 400 IM will be a good asset for her, being such a technical swimmer (and not such a big one!!). Hi Winnie and thanks for the feedback. The 400 IM is quite a demanding event psychologically. My suggestion would be for your daughter to focus on each 50m and not think too much about what is coming up. For many young swimmers, the first relief comes at the end of the butterfly leg. Once they begin backstroke focus on technique and holding a good solid stroke rate. Many swimmers really use their arms in backstroke to pull hard and then really use their legs and accelerate each kick when it comes to breaststroke. In freestyle, build the first 50m and then give it everything you have in the last 50 metres. My coach has signed me up for a 400 IM at a meet in 2 weeks. I’m slightly frightened by how long it is, and this is only my first year in (winter) swimming, so I am not very built yet. Do have any other tips on how to get through this event? My 200 IM time is 3:15, which I swam last weekend. You will be fine doing your 400m IM. 3:15 is a good time for a 200 IM which gives me confidence that you will swim well in the 400m IM. The key is to swim a solid butterfly, especially in the second 50m. 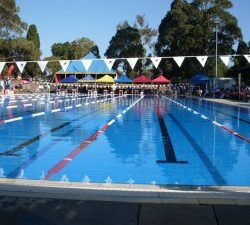 In the backstroke, breaststroke and freestyle, I always encourage young swimmers to swim the first 50m pretty solid and then swim a bit faster in the second 50m of each stroke. This is a great way to learn how to pace a 400m IM. Good luck and please let me know how you go. I did okay in my 400 IM (6:56) and it was better than I expected. I’m not sure how to post questions so I am asking here for now. I am very prone to ear infections/swimmer’s ear. Even fter getting water out and drying my ear with a Q-tip and blow-drying the inside, I’ve got another one in my left ear and I am currently out of water. It’s very painful and annoying; it’s been on and off a couple weeks ago. I’ve been to a doctor and he suggested ear plugs. I have some latex, squishy Speedo ear plugs now, and they are a little big, nor do they seem to stick on. Currently, there is some earwax inside my ear that’s absorbing the water, the doctor thinks. From a swimmer’s point of view, what do you suggest I do? Thank you! I’m really not too sure with ears as I have not coached many swimmers who have had ear problems. A couple used ear plugs and they found them to work quite well once they got the correct size for them. One girl used blue tak which worked well for her, however I am not sure how safe blue tak is and would prefer you work through the different solutions with your doctor. Good luck with them and I hope the infections go away for you.